I *love* this birthday card given to me by my friend Liz! It’s fab! I think Mariko will appreciate this card! I also want to find out where you can buy sprinkles shaped like stars. I’m so tired. Saturday was a very long day because we did make it to the market early, it was very hot and later there were delays in getting back home. Travelling from France back to the UK was not the problem, that was great and very efficent, but there were delays in getting from London to Cardiff. I’m even more tired today because we only managed to sleep for a couple of hours last night. It was unbearably hot and neither of us could get to sleep. It also didn’t help when at about 2 or 3am, I forget the exact time, some noisy people in one of the flats next door to us came home and decided to talk very loudly and play music. I couldn’t tune it out. Oh and I’ve had some problems sending and receiving email since I got home. I think it’s ok now but I will be resending out some emails that I don’t think got through. More on our trip tomorrow and my meeting with the lovely Kate Gilbert and her other half! This is is a timed post so by the time it’s online I will be on my way to Paris! I really can’t wait! She is a very beautiful wrap! I will try and post at least one blog entry from Paris. See you all soon! Countdown to Paris, Secret Pal and Socks! A lot to fit in this post. Firstly, I’m very excited because we’re off to Paris tomorrow morning! We’re going via EuroStar again which is a very civilised way to travel. Our first full day in the city is my birthday and we then come back on Saturday night – we could have stayed until Sunday but I wanted a day to recover before going back to work. Plus this way I don’t have to wait too long before seeing the Doctor Who finale! Yes, eventually you’d know the five per cent sci-fi part of this blog would appear! But Paris – I’ve been taking notes from Bonne Marie, Becky and Jackie’s blogs since they visited a few places that I haven’t been to before. I really hope I can up early on the Saturday to make that market. I want to get some of those vintage buttons but we also have to catch our return train. I’ll also be meeting up with the lovely Kate Gilbert while I’m there. My final Secret Pal parcel arrived this morning! Sylvia was my Secret Pal 4 and I was SP 4 to Marta in Germany. Marta is going through a pretty rough time at the moment so please send her good thoughts. the socks at the front with the stitch markers on are from yarn dyed by Jeni! This was a present and custom dyed for me! As you can see it’s knitting up beautifully. 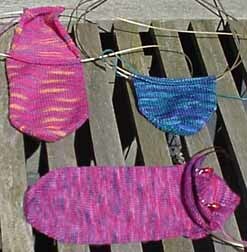 Jeni sometimes sells her sock yarn on eBay. 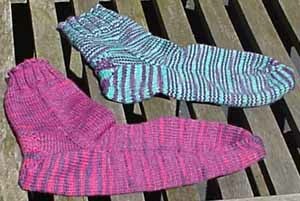 Then on the upper left we have a Lorna’s lace sock in the Get Knitted colourway and on the upper right Fleece Artist sockyarn in wonderful peacock colours. The FL was purchased in Toronto last year. Incidentally in the Latest KnitCast when I talk about the Celestial Merino I had forgotten that it’s custom dyed for Lucy Neatby by Fleece Artist. 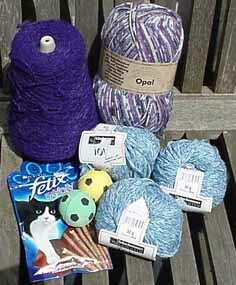 I bought a couple of lovely skeins while at GK the other weekend. 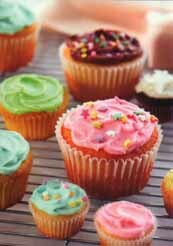 The sunlight has made the colours look quite different in this pic. The blue and purple ones are Fresh Stripe which was a present from SP 3 Wendy and the pink and purple ones are Girly Stripe which I bought last year sometime. The GS ones look a little different again because I haven’t worn them yet. I’ve also taken some pix of my Silk Garden Clapotis which I hope to post later. Now, I have to get started on my packing! 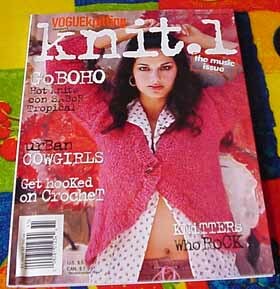 The latest KnitCast, number nine!, an interview with Sue Morgan from Get Knitted! plus a tour of her new retail space, is now online! I had no idea that it had been so long since my last post. The virus meant that I was behind in loads of things and then of course I’ve been balancing the commitments of Knitcast with everything else. I have kept up with KnitCast though. 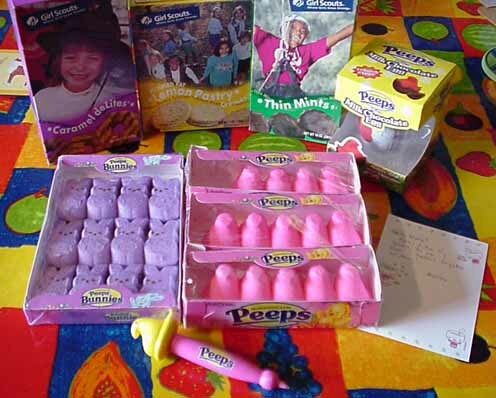 So, let’s see what was in the box…. 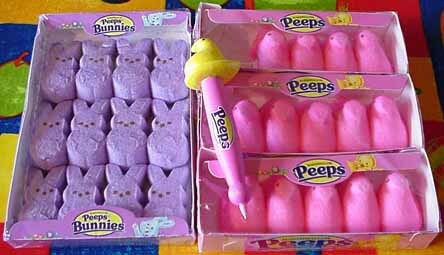 Two different varieties of Peeps and a Peeps Pen! 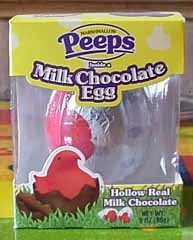 I still have some of these as I’ve been hoarding them!I’d always heard of them in USA tv programmes and books so it was wonderful to actually have some! 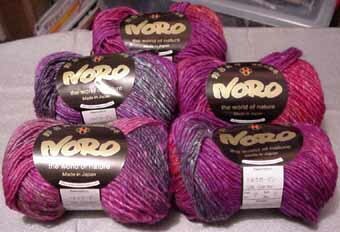 It was stash yarn that I’d bought for another project a few years ago. The colour is the sadly discontinued no.8. Beautiful pinks and purples. I’m really looking forward to this. Congratulations to Clapotis‘ creator Kate Gilbert for making the cover of the fall issue of Interweave Knits with her first design for them! I’m going to Paris in just under two week’s time for my birthday and will be meeting Kate and interviewing her for KnitCast. On Saturday Jeni and I went to Bristol for Get Knitted‘s first open-day. we had a great time! More on that in my next post.